Mitsubishi and Mazda are recalling 630,000 vehicles in the largest Takata airbag recall. 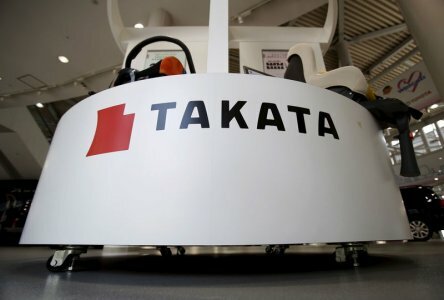 The move comes just days after Takata said it was doubling the number of cars it had recalled to 34 million, affecting 11 carmakers. Mazda is recalling 120,000 vehicles including the Atenza sedan, the Bongo van and two models that it builds for Nissan and Mitsubishi in Japan. Mitsubishi is recalling 512,000 cars. About 412,000 of those vehicles are outside Japan, the carmaker said. Last week, Toyota, Nissan, Honda and Daihatsu all recalled millions of cars because of Takata’s potentially deadly airbags. Six deaths have been linked to Takata airbags that have all been in Honda cars. The airbags have also been connected to more than 100 injuries. The embattled company faces multiple class action lawsuits and criminal and regulatory investigations in North America. On May 21, Toyota, the world’s biggest carmaker, also said that it would help to get to the bottom of the problems with Takata’s airbags. Toyota’s vow comes as doubts are growing over whether the Japanese carmaker has enough financial power to deal with all the defects – an issue that could take years. Takata saw a 5 billion yen ($41 million) extraordinary loss for the fiscal fourth quarter, stemming from costs related to previously announced recalls.